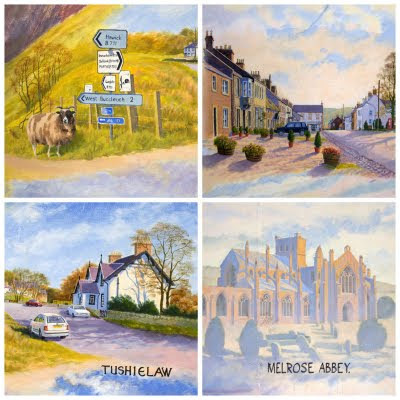 During our trip north we paid a visit to the Chain Bridge Honey Farm near Berwick upon Tweed to have a look at R's Dad's paintings. 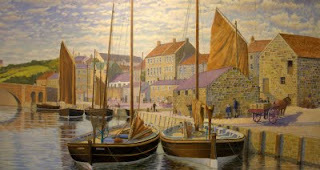 R had told me about the paintings his Dad, Tony Johnson, had been working on but I wasn't prepared for the sheer scale of work which he has produced. 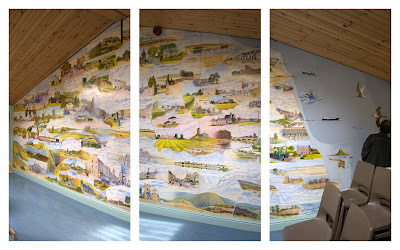 Several wall spaces in the visitor centre have been painted with local scenes, flowers and, of course, bees! 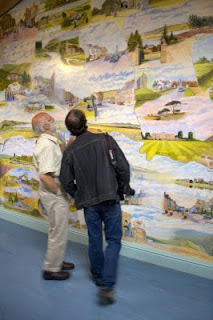 On the vast back wall of the main centre is a huge, intricately detailed pictorial map tracing the River Tweed along the borders and features over one hundred different scenes. It was this painting which really made my jaw drop, as the visual impact when you walk in the door builds ever greater as you move in to study each individual scene, fabulous work! 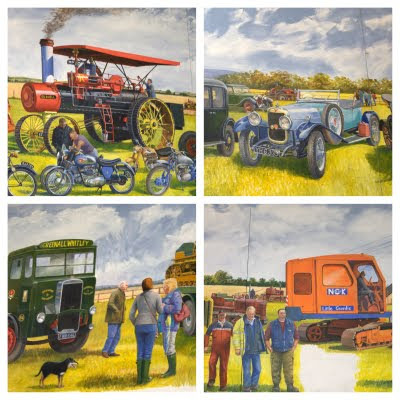 It was wonderful having a guided tour by the artist himself as we were treated to all sorts of fascinating details about the paintings including where Mrs Johnson is hiding in one and even a cameo appearance of R's old car!